A 1994 historic marker placed by the Historic Chattahoochee Foundation and the church reads: The Hilton Methodist Episcopal Church, South was organized in 1850. The first church was erected one mile southwest of Hilton on the Lower River Road. 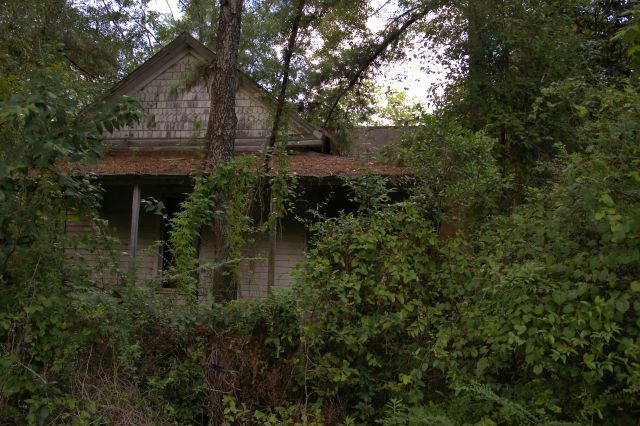 This structure was sold after the Civil War and services were then conducted in an arbor. E. Hilton deeded land to the church trustees for the present site on November 1, 1889. 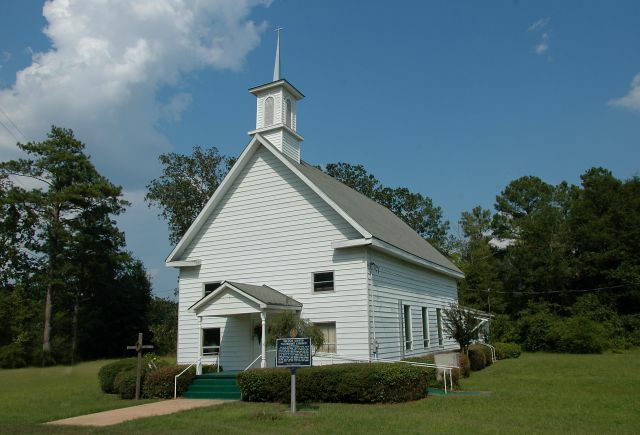 The pegged-frame building for the Hilton United Methodist Church was built in 1890 and the social hall was added in 1973. 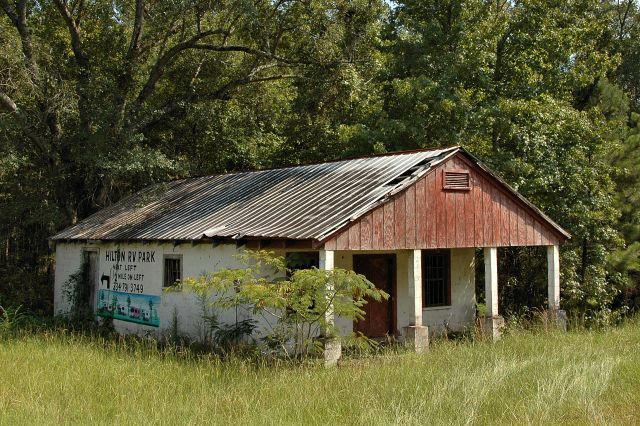 According to his descendants, this was Oscar Franklin Knighton’s store. 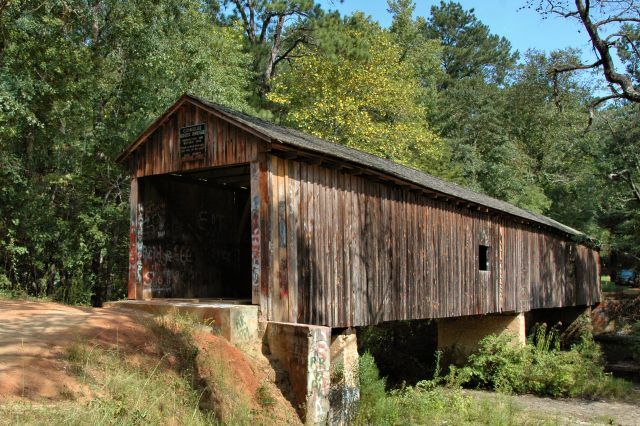 Built by J. W. Baughman in 1891, this 121-foot span over McDonald’s Ford was restored by John Cherry in 1984. 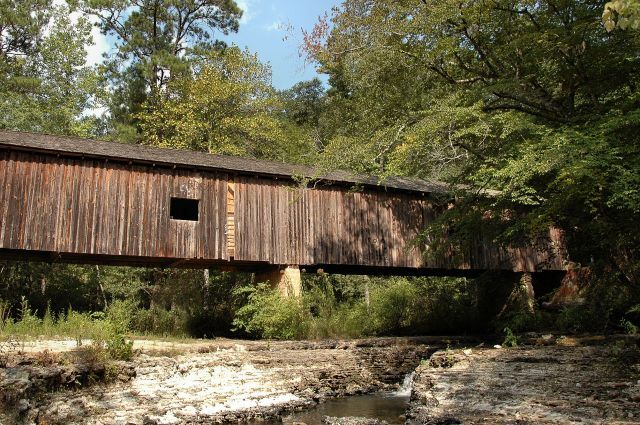 It is the southernmost covered bridge in the United States. Baughman’s grandson, J. W. Baughman III, writes that he was born in 1861 in Lexington, South Carolina, and died in 1923 in Dothan. Iron gates have now been placed at both ends of the bridge due to graffiti and other damage to the bridge.